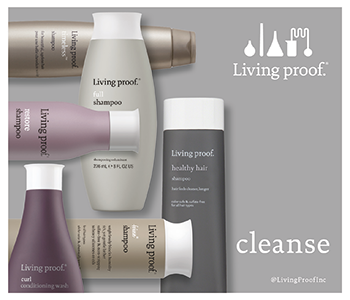 Find a shampoo that meets the specific needs of your hair with the Living Proof Shampoo range. Living Proof Shampoos will allow every day to be a good hair day, with every shampoo in the range being sulphate, silicone and oil-free, and completely suitable for coloured and chemically treated hair. Wash your way to beautiful hair and see the amazing Living Proof results for yourself.